For many people, one of the hardest things about learning a new language is keeping with it. You get excited about learning a new language. You buy yourself The Complete Idiots Guide to Learning Spanish . You read for a couple days, and then you quit. I'm not sleeping. I'm trying to absorb verb tables through osmosis. Here's some of the best advice I've ever heard about being a consistent language learner: You should do something every day that will make sure you engage in learning a language tomorrow. So naturally, there are some good things you can do today that will make it more likely that you study tomorrow, and there are some bad things you want to avoid that will keep you from learning a language tomorrow. 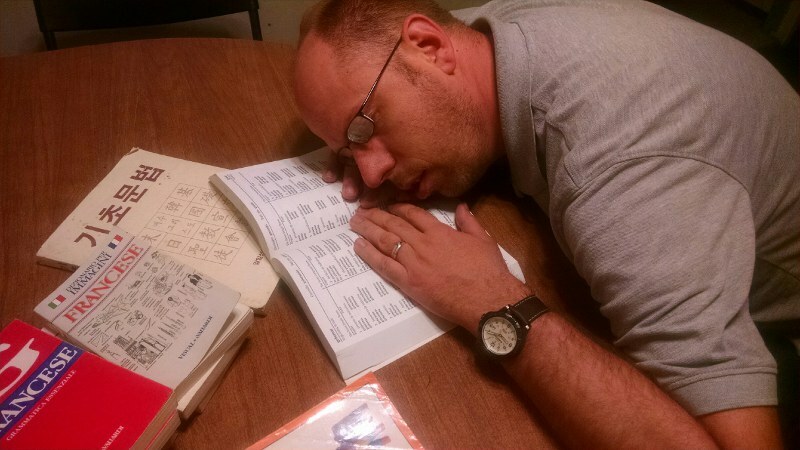 In today's post, I'm going to focus on one of those bad things: language learning burnout. Burnout is that feeling you get when you are just sick and tired of doing something. You're exhausted. You don't want to do it anymore. It happens when learning a new language feels more like a chore than a fun and enjoyable thing to do. Burnout happens to all of us, and may not be entirely avoidable, but I've learned from experience some of the things that help me to avoid burnout. One of the things that language learners often do is memorize vocabulary lists. This is not a bad thing. But all good things, carried to excess, can become bad things. A few months ago I started to feel myself getting burned out using the Anki flashcard app on my phone. I tried to get through as many flash cards a day in an effort to grow my vocabulary as fast as possible. At first this was fun, but it didn't take long to notice that I was starting to dread my time with Anki. I noticed something else, I wasn't really learning. I was trying to cram as much vocabulary as possible in my head. When I came back the next day to review what I had learned the day before, I wasn't remembering almost any of it. This was getting me discouraged. Fast forward to today. I have gotten back into the habit of using Anki every day, but I don't use it so much that I get tired of it. Some days I use it for five minutes, other days I use it for 2 hours. I feel that as long as I've been on Anki for at least five minutes, I don't have to feel guilty about stopping for the day. One nice side effect of this is that I am actually, on most days, using Anki more than I did before. Since anything over 5 minutes is bonus time for me, there's no pressure, and less resistance. During the same period of time I was experiencing Anki burnout, I was reminded of something else that I knew before, but had forgotten. You can't rely on just one learning method. There are a few reasons I think this is true. Not all of them are related to language learning burnout. For one, I think if you only see words in your vocabulary list, you might not truly learn them. An example for me is the Lao word for "university": ມະຫາວິທະຍາໄລ. When I come across this word in my flash card deck, about 80% of the time I can remember what it means. But I don't think I've really learned it. Most Lao words are one or two syllables long; this one has six. Since it is one of the longest words in my flash card deck, when I come across it, I think, "Oh, this must be university." If I was reading a book and that word was in it, I probably would not recognize it. I've only seen it in one context. As far as avoiding language learning burnout, variety keeps your language study interesting. A lot of you know I spent a couple years in Italy. I spent much of that time knocking on doors, trying to get people to let us in and listen to our message about my church. Well, actually, usually not fun. I did like it when someone would let us in. I didn't like knocking on doors for hours at a time though. But some of the guys I knocked on doors with actually made it fun. One of these guys was my friend Nate. Some times you'll knock on someone's door, and you have a sneaky suspicion they are actually home, but they are pretending not to be. When I was going door-to-door with Nate, we might say, in our best fake Monty Python voices, "if you don't open the door, we shall be forced to stand here in our Napoleon pose." Invariably, they wouldn't open the door. We would then stand for about three seconds with our hands in our jackets, trying to look like Napoleon Bonaparte. It was stupid, but it turned drudgery into fun. This is not a picture of me. Or of Nate. 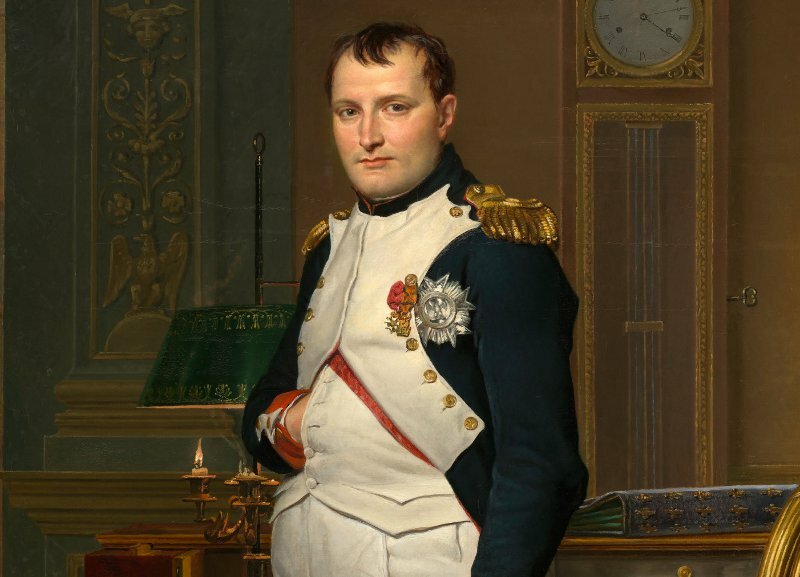 It's a picture of Napoleon that I stole from Wikipedia. The point is, if you have a fun attitude, you can make boring things fun. If you find that what you are doing in your language studies is getting boring, then find a way to make it fun. Here's something I tried about six weeks ago. It was my turn to load the dishwasher with dishes. I really don't like loading the dishwasher. I was also getting a little bored with my Lao Basics book. So I combined two boring things, and something magical happened: less boredom. I did two of the translations exercises in my Lao book, then loaded ten dishes in the dishwasher. Then, I did two more translation exercises in my Lao book, and loaded ten more dishes in my dishwasher. Guess what I did next. That's right. I did two more translation exercises, and ten more dishes. I kept on repeating until the dishes were done. It took much longer than it should have for either chore, but neither one felt like a chore. Putting ten dishes in the dishwasher is easy. Doing two translation exercises is (usually) easy. Since I kept going back and forth between the two, I wasn't doing either for long enough time for them to feel difficult. Is there anything you've ever tried to make a task more fun? How have you overcome or avoided language learning burnout? Share with us in the comments below. Too lazy to write a comment? I'll forgive you (this time, at least) if you click the Facebook icon instead. All your Facebook friends will think you are really smart for sharing something so awesome.